We've looked at the 1st and the 3rd championship from the Chicago Bulls first 3-Peat already, today we will look at the 2nd. 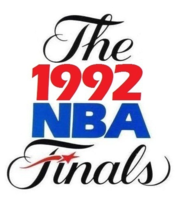 During the 1991-1992 season, the Bulls exhibited dominance, going 67-15 in the regular season and gaining home court advantage through the playoffs pretty much. 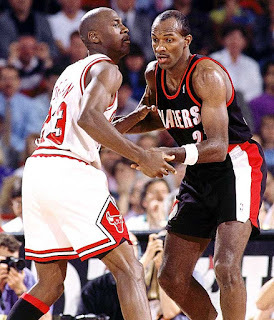 Jordan would secure the regular season MVP award amidst comparisons all season to Clyde Drexler, as the media attempted to make that a rivalry at some point as well. Regardless, the Bulls would have a successful season and embark on their journey to win their second consecutive title. For the Blazers, it was about asserting themselves through the season and becoming strong contenders. They did just that, finishing with a 57-25 record and garnering the no. 1 seed in the West. As the playoffs began, both teams would start a unique journey to the finals. For the Bulls, they started off on the right foot, with a solid sweep of the Miami Heat in a 3 game series, before facing a focused New York Knicks team in the Semi-Finals. The Bulls pulled out a tough 7 game win in the series before disposing of the Cleveland Cavaliers in the conference finals in a 4-2 series to advance to the NBA Finals. The Blazers defeated the Lakers 3-1 in the first round before getting rid of the Phoenix Suns 4-1 in the semi-finals, along with a 4-2 Conference Finals win over the Utah Jazz to secure their date with destiny in the NBA Finals. 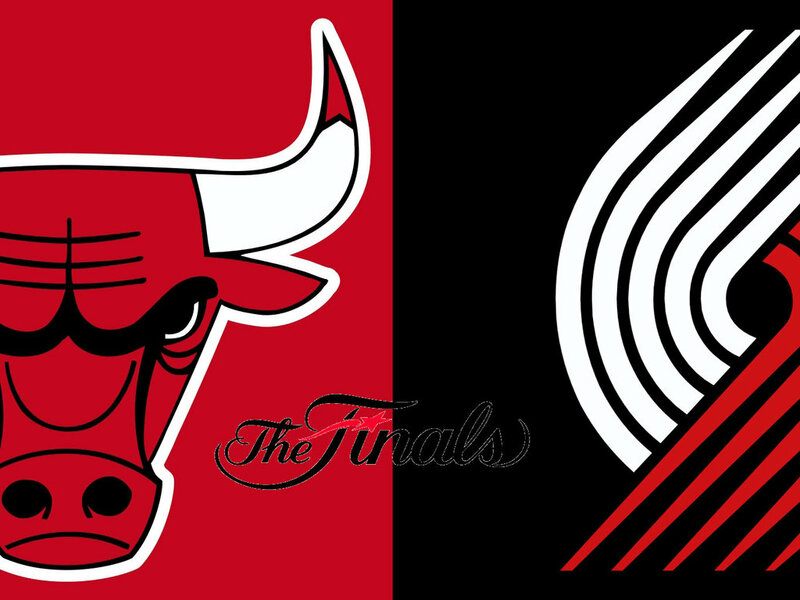 Bulls vs Blazers. Jordan vs Drexler. The stage was set. 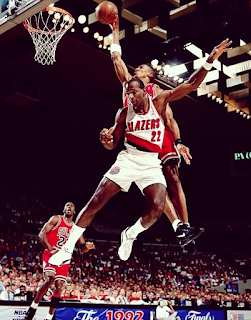 The starting lineups for the Blazers featured Terry Porter, Jerome Kersey, Buck Williams, Kevin Duckworth, and of course Drexler. 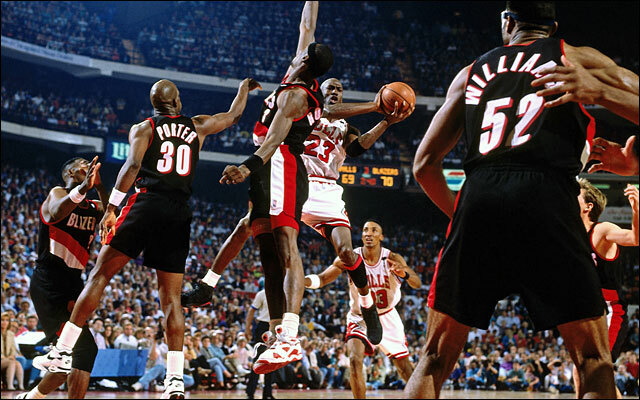 The Bulls starting lineup of course featured John Paxson, Scottie Pippen, Bill Cartwright, Horace Grant, and of course Jordan. Game 1 kicks off from Chicago. -In what could be considered the greatest first half performance in the history of the NBA Finals, Jordan scored 35 first half points, breaking records and garnering 6 first half three pointers. 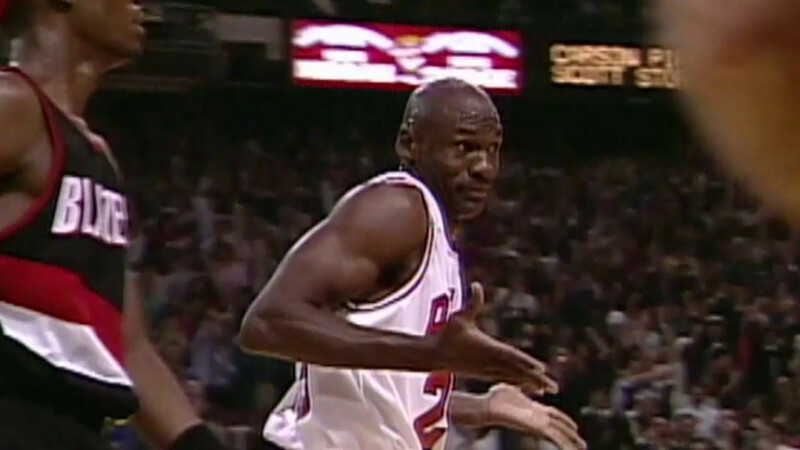 The infamous Jordan shrug was birthed in this game and MJ's performance was nothing short of spectacular leading the Bulls to overtake the game after a very close first quarter. The second and third quarter would see the Bulls outscore the Blazers by 12 and 21 points respectively, leading them to have a huge lead in the game. Jordan finishes the game with 39 points and 11 assists, as he carried the Bulls to a huge 122-89 blowout victory in game 1 of the Finals. Drexler would finish with 16 points and 7 assists. 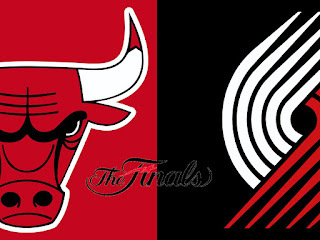 The Bulls would coast to a 1-0 lead and go into game 2 with their confidence sky high. -The Bulls went in looking to take a nice 2-0 series lead, but the Blazers had other ideas apparently, getting out to a solid halftime lead. 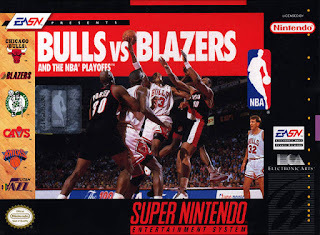 The Bulls however would respond and Jordan ended up scoring 14 points in the third quarter and Paxson scored 9, giving the Bulls a nice lead going into the 4th quarter, but the Blazers fought back to send the game to overtime. 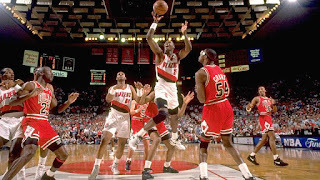 In overtime, the Blazers would dominate, as they managed to even the series up 1-1 with a 115-104 victory lead by Drexler with 26 points and 8 assists. Jordan had another stellar game, with 39 points and 10 assists, but it just wasn't enough to propel the Bulls to the win. -With the series tied 1-1, both teams went into game 3 ready to make a difference in the series. Drexler was on fire tonight, as he ended up with 32 points and he seemed to be unstoppable at times. However, thr second half proved disastrous for the Blazers, as they were held only to 39 second half points and could never regroup. 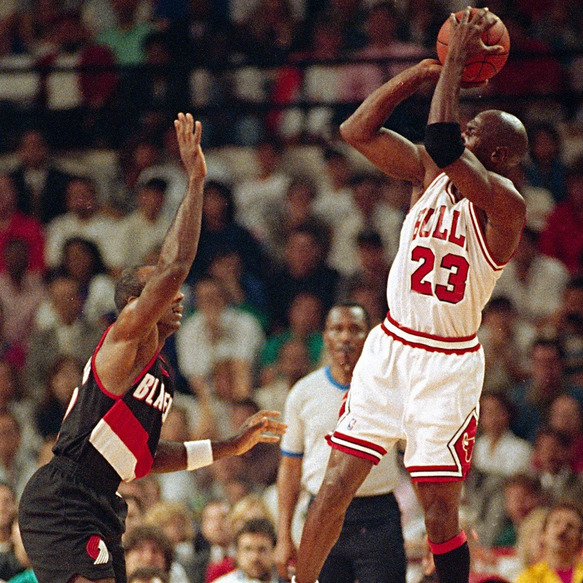 Jordan finishes with 26 points, but more importantly the Bulls gain a 2-1 series lead with a 94-84 victory. The Blazers now had their backs against the wall and Game 4 was fast approaching. Would they be able to regroup??? Time would tell. -The story of game 4 is mostly rooted in ups and downs without a doubt. The Blazers went through dry periods through the game, and it remained close throughout. 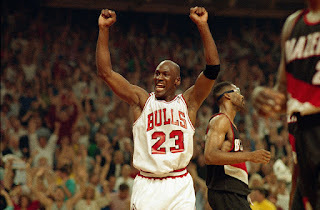 The Bulls went on runs and Jordan scored 13 points in the third quarter, but somehow the Blazers would isolate him and he wouldn't score in the final 10 minutes of the game, would prove to be the difference maker, as the Blazers pulled out a very vital victory 93-88 over the Bulls to even the series up 2-2. Jordan would finish with 32 points and 6 assists, while Drexler would finish with 21 points and 9 assists for the Blazers. Game 5 was on the horizon and it would be a huge one. Who would take a 3-2 series lead. -Game 5 was the epitome of a slugfest honestly as both teams played hard looking to gain thd advantage and take the momentum into game 6 for a victory. Both teams came to play and win, however the Bulls got out to an early lead, and truthfully never looked back. Despite that, the Blazers had many players in double figures(six to be exact), but it wasn't enough. The Bulls applied pressure and managed to sneak out to an even bigger lead in the second half of the game. The Bulls managed to gain the win 119-106 to take the 3-2 series lead and pull them one step closer to their destiny of a 2nd championship. Drexler finished with 30 points to lead the Blazers, while Jordan was superb, dropping 46 points, snd Pippen finished the game with 24 points, 11 rebounds, and 9 assists on the game. Tough contest, but the Bulls got the W and a much needed advantage to close it out. Would they do it? 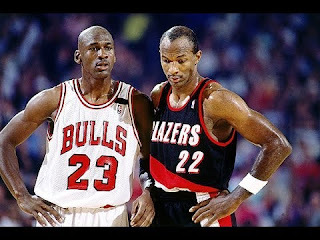 -The Blazers wanted to force a game 7 as they kept Michael Jordan scoreless for the first 11 minutes of the game, and through the first three quarters, it seemed as if they would be forcing one. Armed with a 79-64 lead, the Blazers went into the 4th quarter with everything to lose. And lose they did. The Bulls kicked it up a notch and Jordan would end up with 33 points and push his team to a 2nd consecutive title. Drexler would add 24 points and Kersey would finish with 24 points and 9 rebounds while Jordan capped off another impressive Finals appearance with 33 points. As the celebration began in Chicago, no one knew what would be next for both teams. 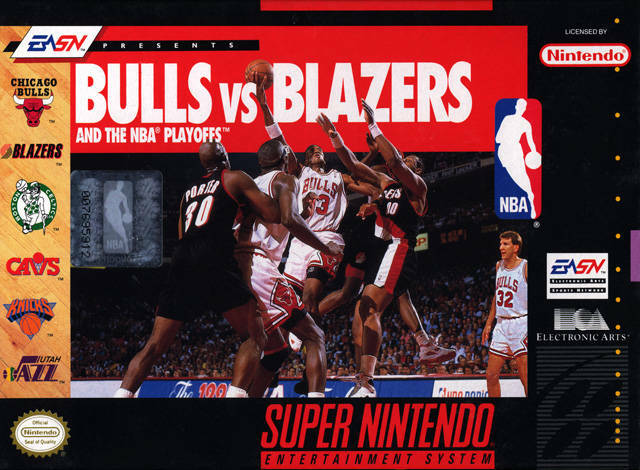 One thing that likely wasn't expected was the video game titled Bulls vs Blazers that released shortly after, etching this NBA Finals in history forever. Jordan would go on to win his second consecutive Finals MVP Award as well. For the Bulls, they would make history the next season and complete the 3-Peat. The Blazers never made it back to The Finals. Your 1992 NBA Champions, Chicago Bulls.